Masala Family Festival 2019 is coming to Karachi to enthrall the people of Karachi. Masala TV is all set to start the Family Festival 2019 in Karachi. This year the Masala Family Festival 2019 will be a gigantic event filled more fun and entertainment and will be held in the in Expo Centre Karachi on 26th and 27th January. 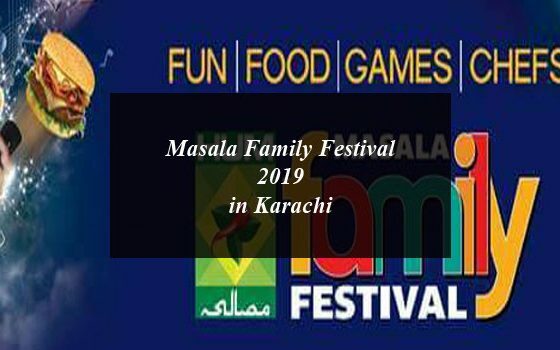 HUM Masala Family Food Festival 2019 in Karachi would definitely be a fun filled event, just like its previous sessions, for kids and their families where they can enjoy food, games, cooking contests, live concerts, Pet show and much more. The family festival will most likely be hosted by the famous anchor Kiran Khan and the visitors of festival will also get a chance to win gift hampers and your favorite chefs including Chef Mehboob, Shireen Anwar, Rida Aftab, Zarnak Sidhwa, Basim Akhund, and many others. There will be shopping stalls for the families visiting the event sections ranging from Textile & Garments, Consumer Electronics, Furniture, Home Decor, and much more. The masala food festival will be off course a fun filled event for the kids as to engage them there would be an Exclusive Kids Arena which includes Magic Shows, Puppet Shows, Rides, Circus, etc. At the event visitors can enjoy the national and international foods including Pakistani cuisine, Chinese, Thai, Singaporean, American, Italian, etc. The Masala Family Festival in Karachi will also have the live cooking stall of the renowned chiefs from Masala TV including Shireen Apa, Chef Zarnak, Basim Akhund, Rida Aftab & Mehboob Khan to unravel some wonderful dishes and unique tips. 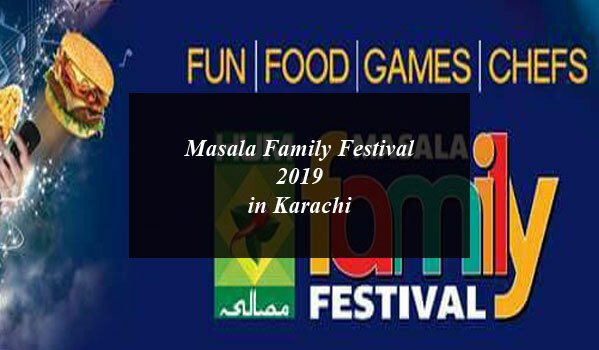 How to Get Entry in Masala Family Festival 2019 in Karachi? You can enjoy the Masala Family Festival 2019 in Expo Centre Karachi with your family starting from 26th January. The entry tickets will be given at the venue and you need to pay Rs.50 to Rs.100 for a single ticket. You can also book your stall now by calling at the given number.